I like to check out the fashion trends, especially the ones for Fall. It's not that I'm going to follow them. No one will ever accuse me of being a fashionista. I wear what's in my closet, often things that are several years old. That isn't to say that I wouldn't love to have a closet full of beautiful clothes, and to be tall and skinny and able to put on anything and make it look good. But hey, to quote Popeye, "I y'am what I y'am"! Recently I came across the Pantone Fashion Color Report for Fall 2011, which was written last spring. It's odd how the designers and artists choose different colors and each person is supposedly a trend setter. I wonder what goes into their decisions. Fabrics that they can easily get? Something that hasn't been "new" for a number of years? Maybe they honestly like certain colors? What will the public buy? I have no idea how these trends are decided and take hold. Do they confer with each other at all? Yesterday I was in a mall here in Calgary and I noticed that many of the ladies' clothing stores had garments in black and in deep burgundy/maroon. If this is the trend, then I like it. I often wear black pants as they are versatile and I can wear them with my multi-colored sweaters. I'm particularly fond of dark burgundy. Will I give in to this trend and buy something in this color? Maybe. 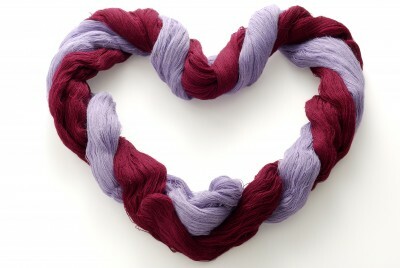 Will I buy yarn and make a burgundy sweater? Yes, IF I finish the projects that are currently on the needles, none of which are maroon. The chances of finishing said projects this year: NIL. Even less than that. Maybe I'll make a burgundy sweater for Fall 2012, but will it be in style then? Probably not! That color will ALWAYS be in fashion. It's just too gorgeous! Good for you for admitting you won't get it done this year. It's just too tempting to buy the yarn anyway.